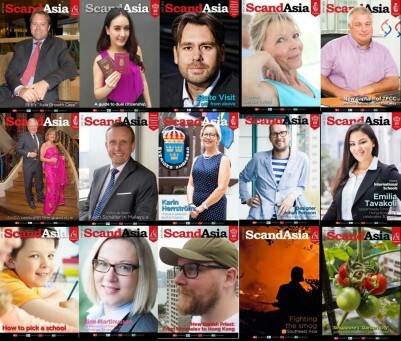 ScandAsia appeals for people to subscribe | Scand-Media Corp., Ltd.
ScandAsia appeals for people to buy a paid subscription to the monthly ScandAsia paper magazines. Or get it for free if they live in Thailand or Singapore. “We appeal to our readers to buy a subscription to our paper editions in order for us to bridge the transition from a paper magazine to a hybrid publishing operation offering both digital and analog services,” founder and Editor-in-Chief Gregers Moller explains. “We produce a good product and we serve our readers well. We are the only media serving the expat Scandinavians living in Asia and the Nordic companies with business in Asia. But the transition from paper magazines to online media service is hard to navigate,” he adds. It is the first time since its foundation in 1993 that ScandAsia is requesting people to subscribe to the paper edition for a small fee to be delivered in the Nordic countries or in China, Malaysia, Indonesia, Philippines, Vietnam, Cambodia, Laos and Myanmar. Readers living in Thailand or Singapore will continue to receive the ScandAsia magazine in its paper edition free of charge simply by registering as a user on ScandAsia.com. “Our free news service like the eMagazines and the ScandAsia Weekly eNewsletter remains free for all, too. This service is paid for by companies who advertise in the paper edition or insert banners in the emails,” says Gregers Moller. This entry was posted in News and tagged in expatriate life, living abroad media, nordic expats, publishing, scandasia magazine, scandasia website, scandasia weekly.